Submitted by Judy on Thu, 09/20/2007 - 12:03pm. 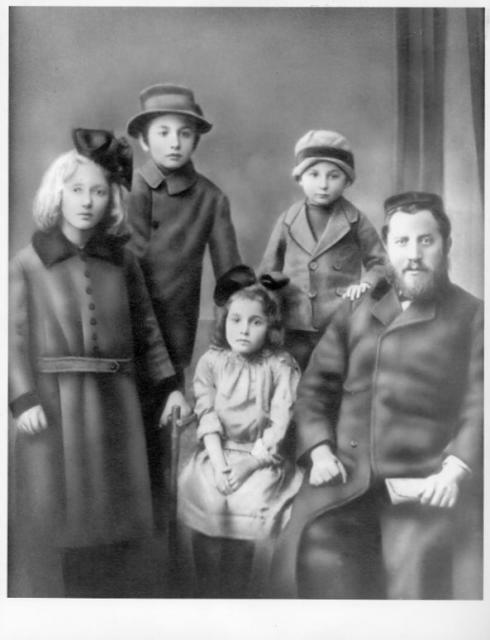 My paternal grandfather, Osias Moses, with his four children from a previous marriage. When his wife died tragically of typhus, at age 25, he married my grandmother Ruchel, who raised his children as her own. Together they had my father.